Baking with Milly | Does This Font Make Me Look Fat? 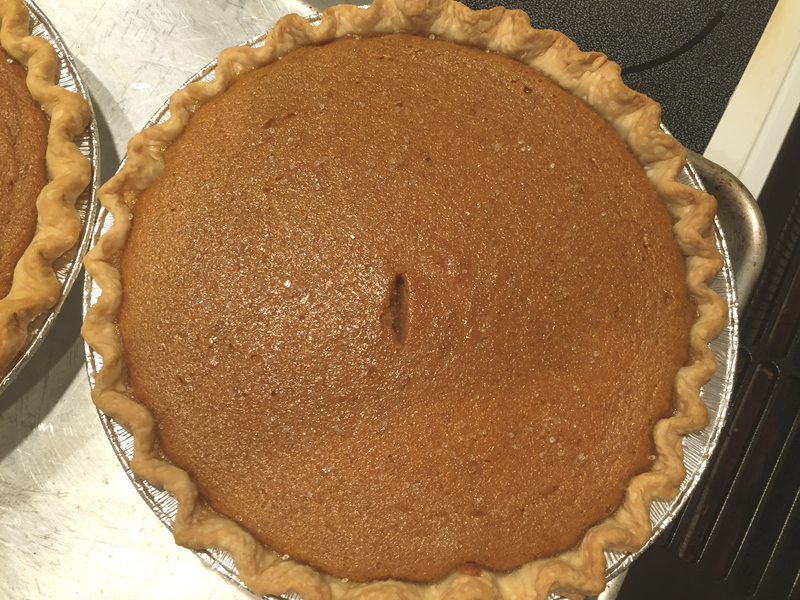 This entry was posted in Baking, Cooking, Pies, Uncategorized and tagged pumpkin pie by Mala Burt. Bookmark the permalink. I was kinda impressed myself. Usually the crust burns at that oven temp. I baked both pies on a half sheet pan. Maybe that made the difference. I too grew up in a pie baking Midwest family. Hard to find the joy when there’s no one in the house to feed it to. But I’m glad you can remember your Mama and do something good for the community. We did enjoy the crustless filling I baked. When I get the chance, I bake with my granddaughters, They are on the other side of the country so it doesn’t happen very often, but when they were little we baked alot of cookies, made pies and always Norwegian kransekakke at Christmas. I am amazed at how Fiona is cracking eggs at three. She harassed me to let her help so I’m sure your granddaughters are trained professionals. Thanks, Bernadine. It is really good! I will certainly visit your blog. Thanks for posting on mine. Thanks for making me a follower. The Haitian porridge recipe was intriguing. Are you from the island? No actually, but you’re really close! My parents are from Haiti, and so I’m Haitian American. Thanks for asking! For a lot of years we had a house on St. Lucia and I learned to love some to the island recipes. Breadfruit balls were my favorite but I don’t know where to find breadfruit in my small town in Maryland. This looks delicious and seems a lot simpler to make that I would have thought! I’m kind of a newby in the pie-making game, but I definitely want to try making this pumpkin pie for Thanksgiving! Don’t be afraid to use the Pillsbury already prepared piecrust. It comes rolled up and all you have to do is bring it to room temperature and unroll it. Have a great Thanksgiving Day with your family and friends. Thats a great suggestion! Thanks, you too!